The 35th meeting of the conference Colloquium on Combinatorics takes place at Paderborn University (O Gebäude). 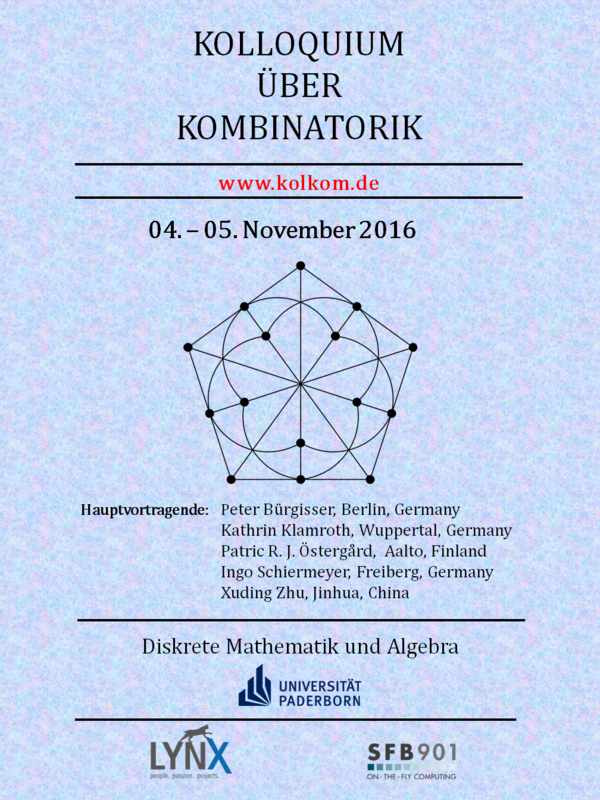 The Colloquium on Combinatorics is a forum that brings together young researchers and well established scientists. The colloquium will cover all areas of Combinatorics and Discrete Mathematics in a broad sense, including combinatorial aspects in Algebra, Geometry, Optimization and Computer Science.